I was visiting the Maine State House complex and noticed a building with each and every window looking much like a mirror. I wanted to see if I could use the windows to mirror other parts of the complex. In the windows, you can see the Cross Building. It is the light cement building to the far right. The Brick building which is the main focus of the photo is an old school which is on the National Register of Historic places and is now home to another state agency. The sun, shining at the end of the building is coming from the right of the picture but in the reflection of the school building it seems to be shining from the left. 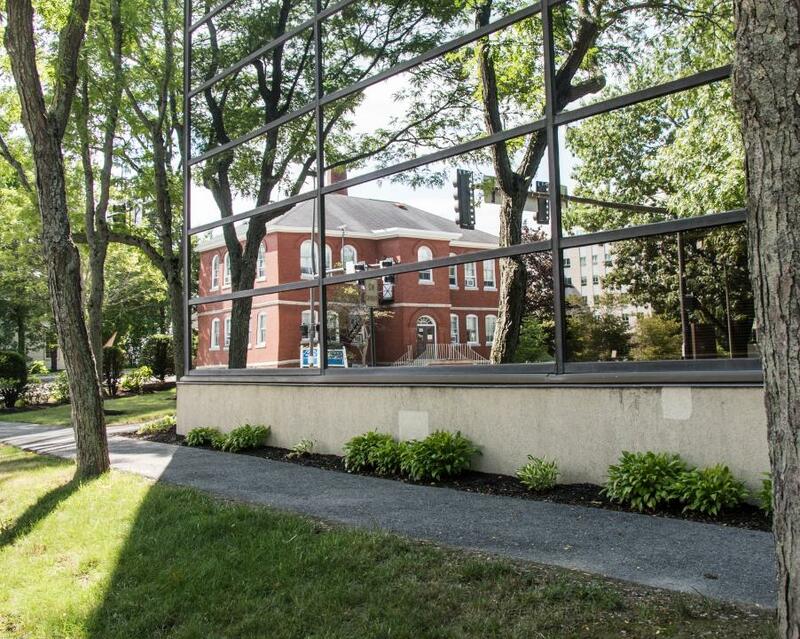 The mirrored building is the Maine Public Employees Retirement System. I used my 7D Mark II. Set at 200 ASA. My lens was an 18-135mm IS STM. 1/160 shutter speed with a 4.5 aperture. Intriguing! I spent more than usual time figuring out and enjoying it.